Have you already started to have the ‘Christmas Chat’? It is never too early to begin preparing for Christmas. It is November and the festive season seems to have already come around. From festive lights, chocolate boxes to mince pies and Christmas attires, the shops are filling with beautiful Christmas gifts. 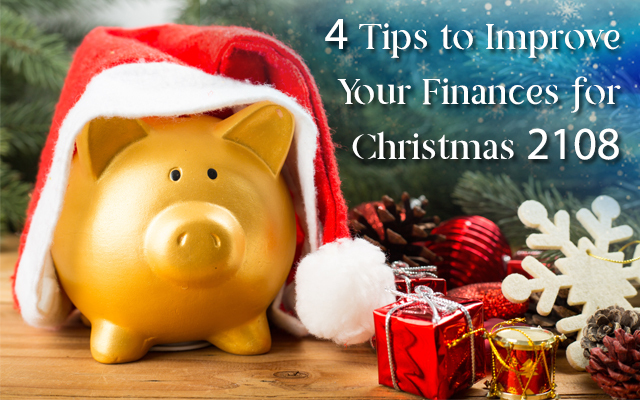 While it is absolutely a fantastic time for enjoying, relaxing and having fun, you may be panicking because you feel unprepared financially for this holiday season. People are reportedly known to spend more money on Christmas, right from arranging dinner parties, buying gifts to travelling. If you are not super organised or leave everything for the last minute, you can certainly find yourself unhappy, stressed out and panicking during the most beautiful time of the year. Your Christmas can also get very expensive, thereby upsetting your bank balance. The first and foremost step of getting ready for Christmas is making a list. Once you have a list of the things you are looking to buy related to Christmas including decorations, lights, foods and gifts, everything can become more manageable. You can also jot down the names of the individuals on the list for whom you want to buy gifts and then, double check it. Sometimes people purchase Christmas gifts either out of habit or just because they feel they should buy. But, the fact is that this can often be detrimental for you. If you have concerns about affordability, it may be perfectly fine to take a break this year from your usual routine and purchase presents for close family members only. It is always essential for you to work out your budget for preparing yourself wisely. You will be able to manage your money, avoiding unnecessary expenses. You can choose to drop a needless expense for this month to save a little bit of extra cash. While you can carve your eating costs or delay your next haircut till December, you may also cancel a subscription that you do not enjoy any longer. If a person can cut out a bit of his/her usual or everyday expenses, it can save a decent amount of money in only a month. Do you have any gift cards in your wallet or purse? Just check it once before you head out for shopping. People usually do not work over to spend the entire amount available on gift cards. Thus, it is always worth checking if you have any reward cards with you, as you can use the balance or the bonus points you earned for spending on Christmas lights or food. If you want to raise some extra cash for the holiday season, take advantage of your asset(s) and use it as collateral for a pawn loan. Today, people from all walks of life rely on pawnbrokers to meet their short-term monetary needs. A pawnbroking loan is a legitimate and quick way to get immediate access to money by pledging anything valuable such as a diamond ring, a Rolex watch or gold with a pawnbroker. Simply pop into your local pawn shop carrying your valuables, opt for a loan against it and get paid in cash right away. With trustworthy pawnbrokers in Romford like at the Golden Cash, you can pawn your asset and get a collateral loan in a simple and hassle-free way. 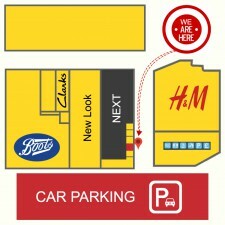 Whether you live in Romford, or anywhere within the Essex, you can visit their shop at any time during the opening hours at The Liberty Shopping Centre in Romford, Essex without an appointment. A pawn loan usually has a term of six to seven months, and once you pay off the original amount along with the interest you owe, you can reclaim your asset. Thus, relax and spend this time with the ones you love, carrying the smile as well as the excitement on your face and eyes, and prepare for the big day. However, planning well in advance can help you in saving money and also, your prudence. And, by the time Christmas comes in, you will be financially prepared as well as stress-free to enjoy the holiday.